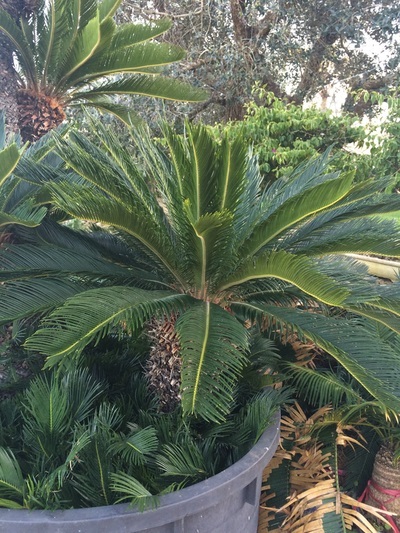 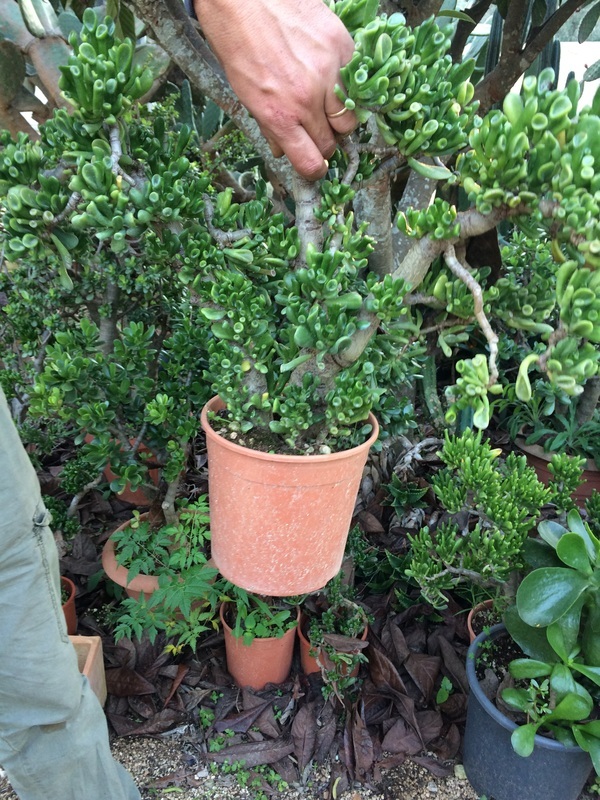 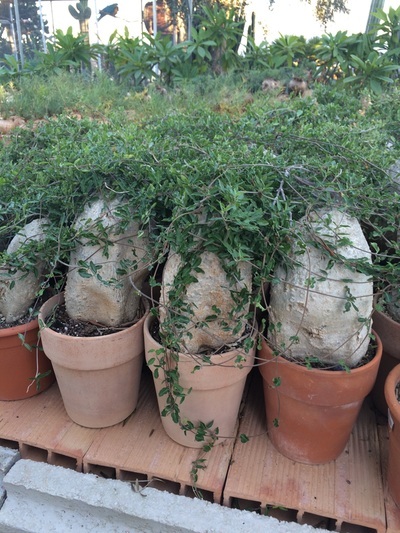 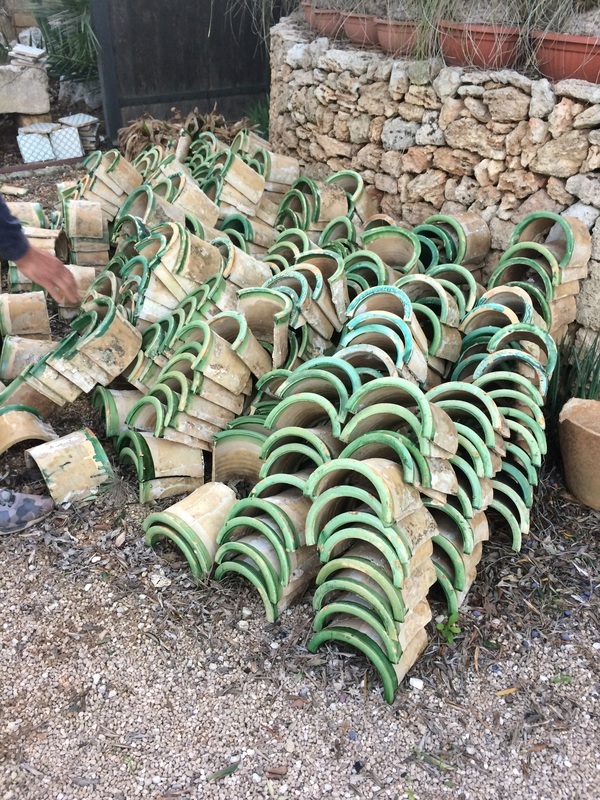 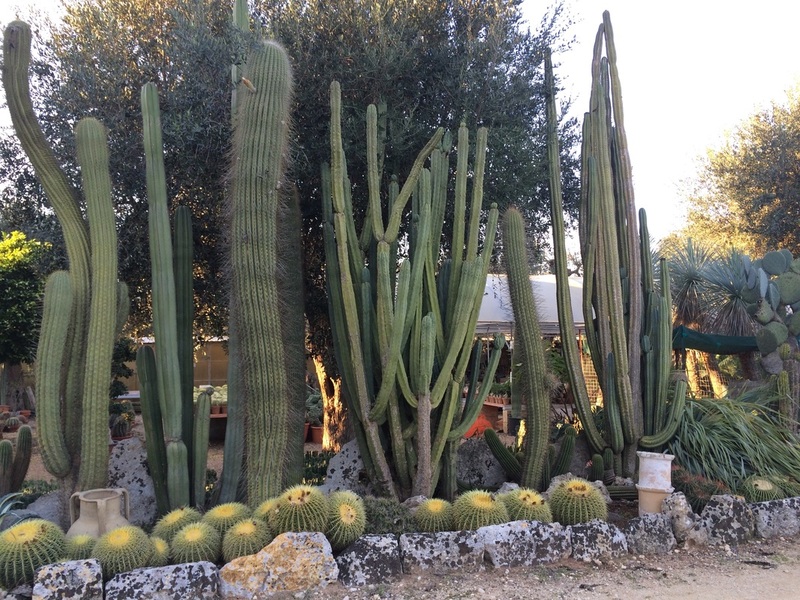 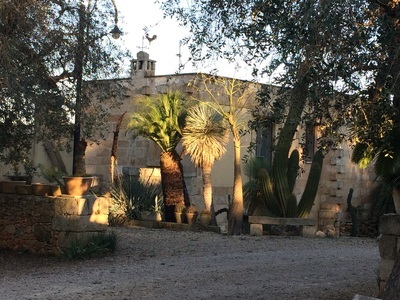 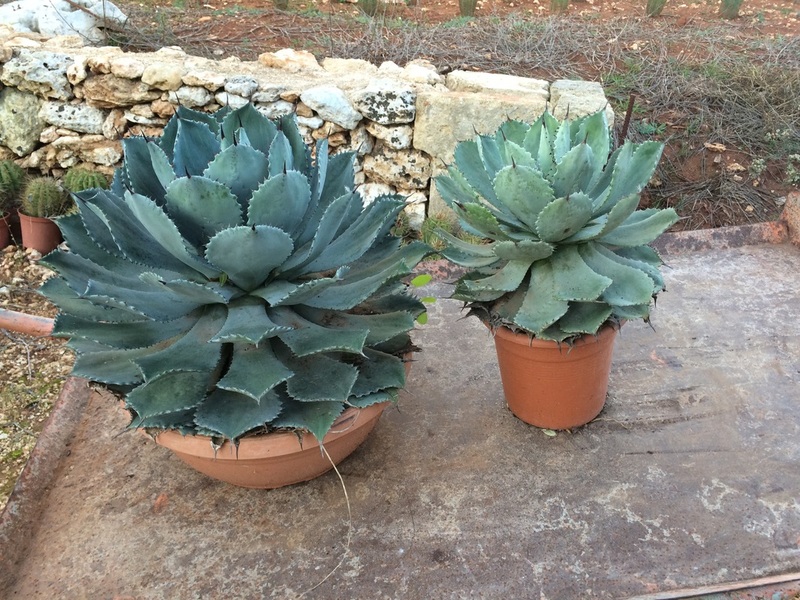 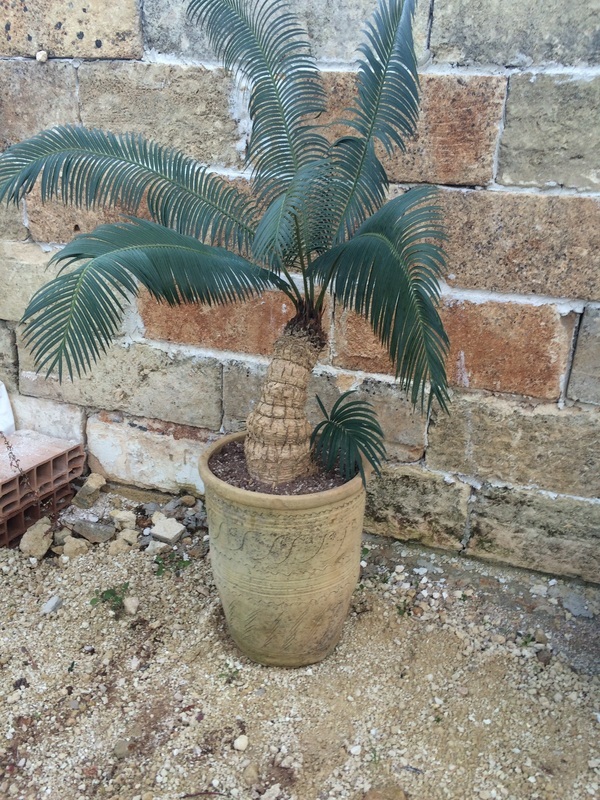 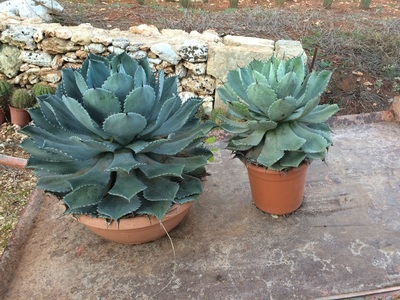 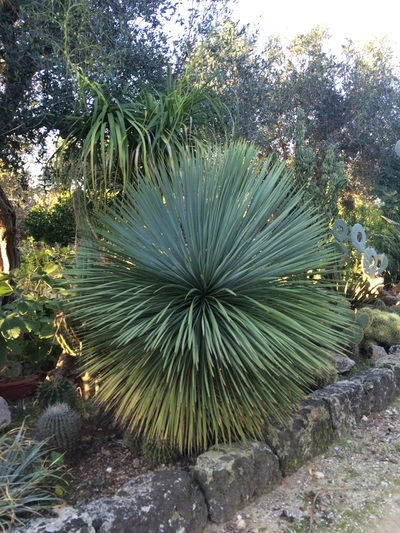 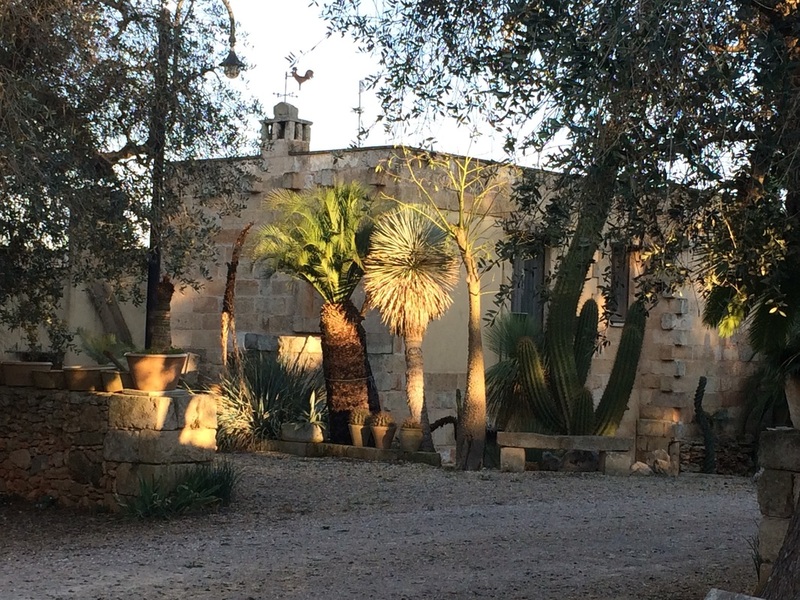 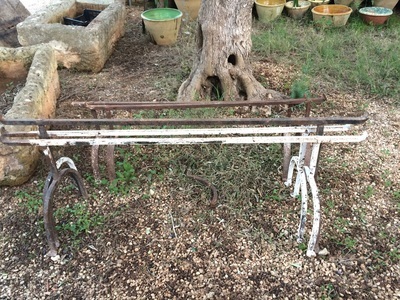 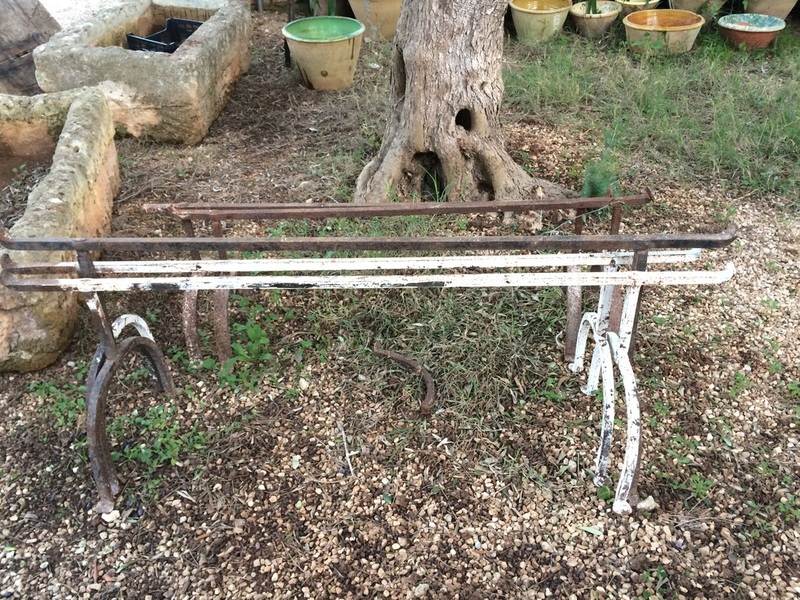 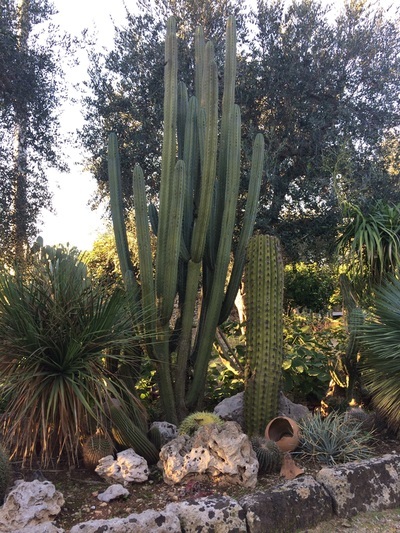 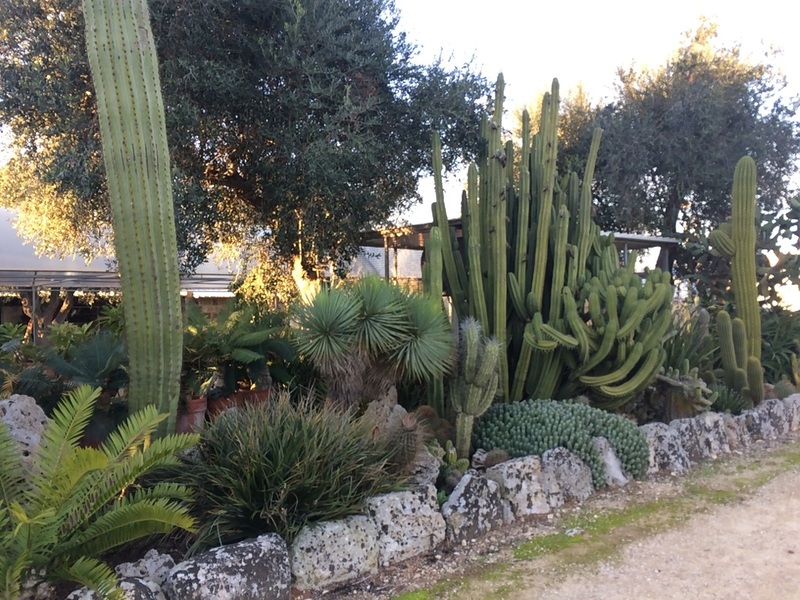 Puglia is home to an incredible variety of exotic plants and the climate here limits you to the exotics: cactus, succulents and palms are those types that thrive well on little water. 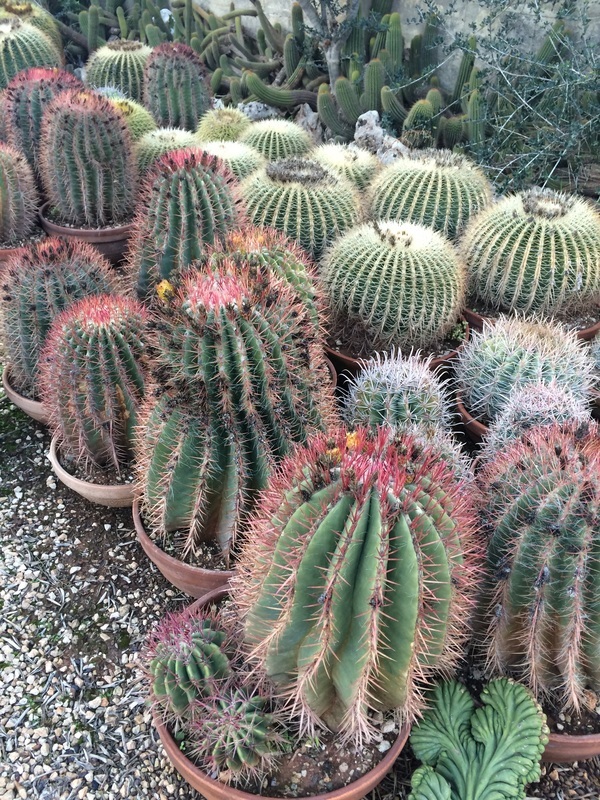 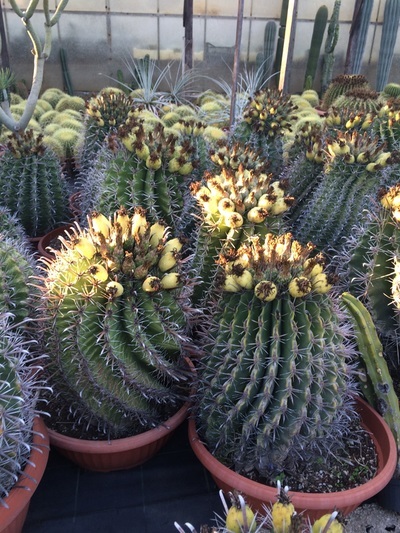 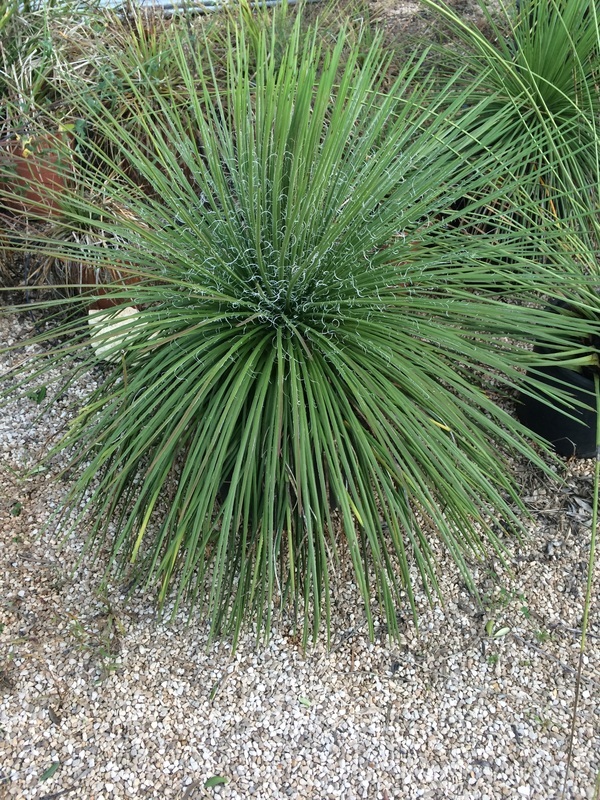 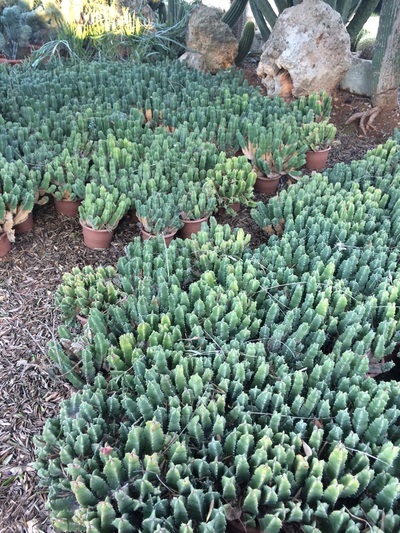 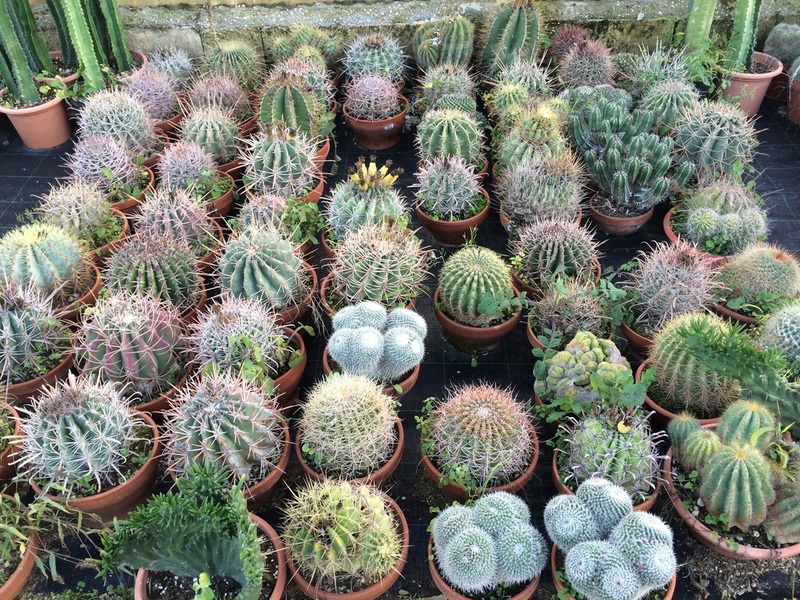 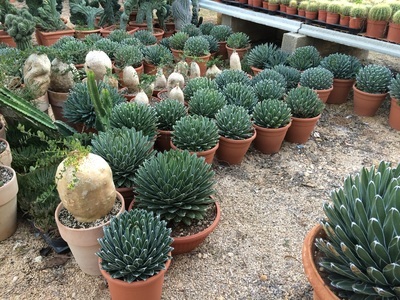 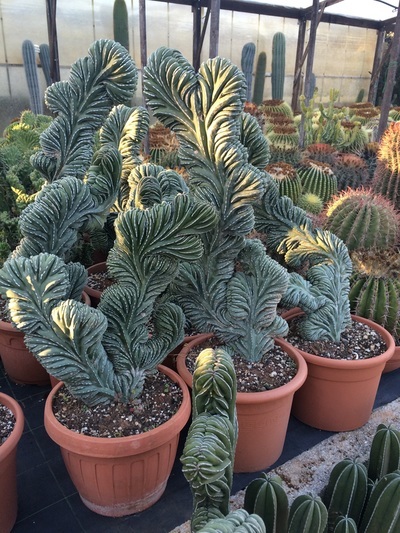 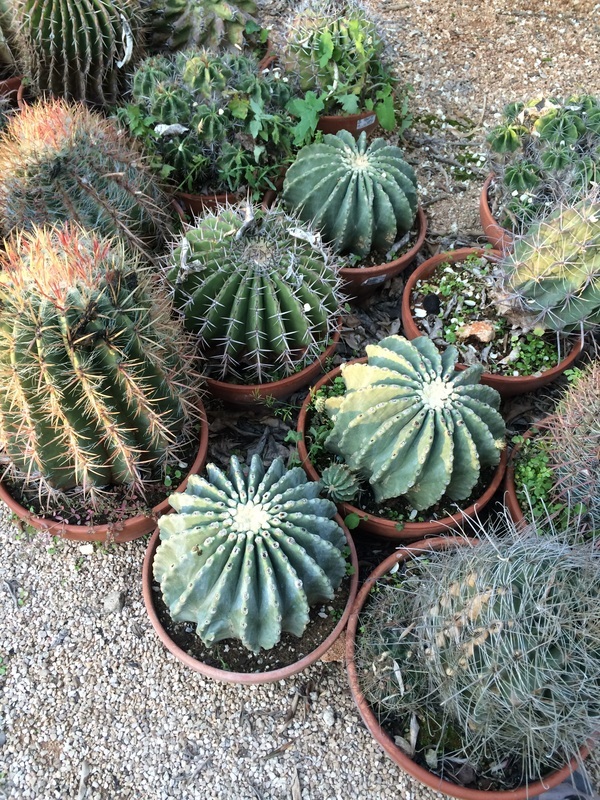 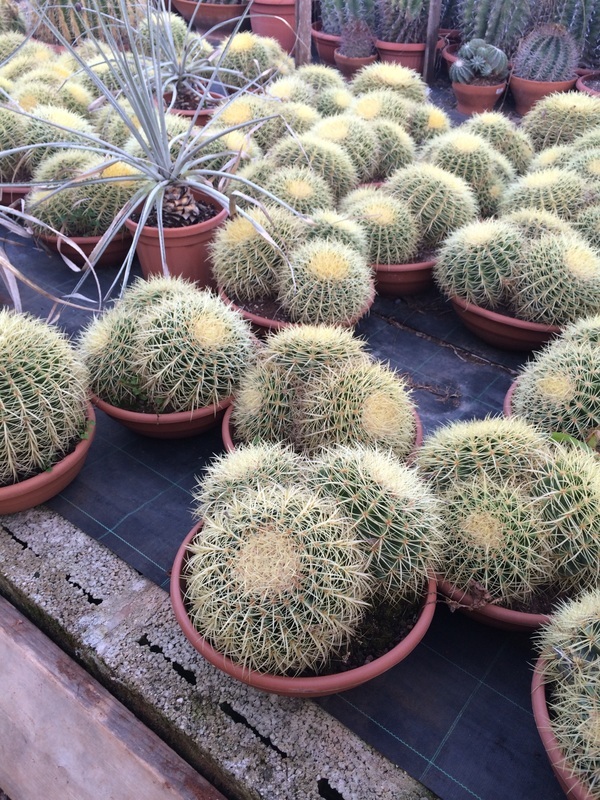 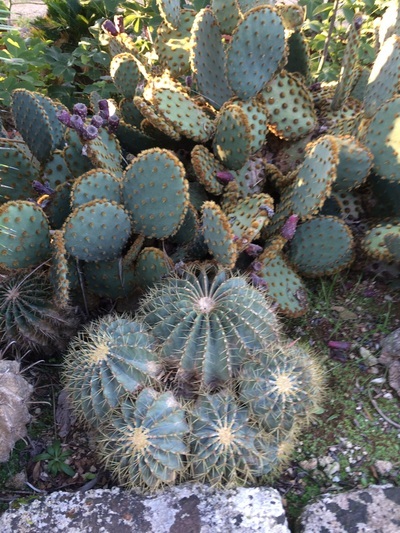 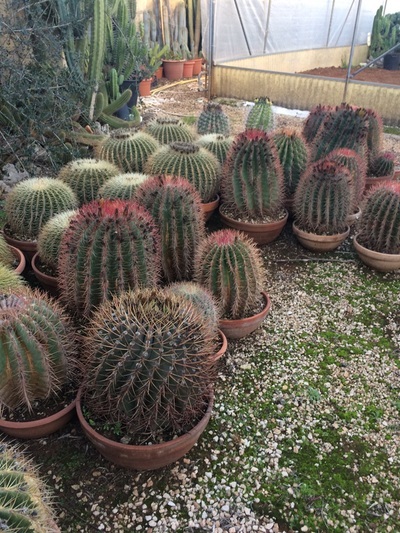 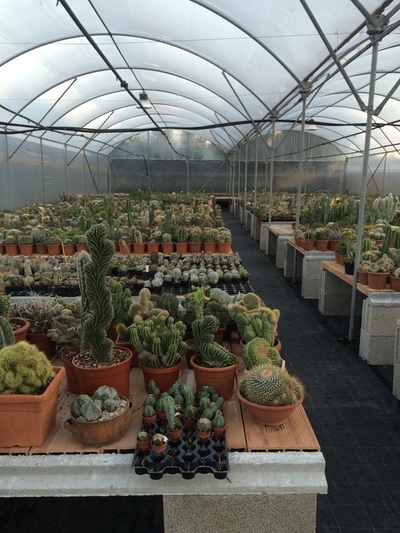 I turned to Antonio Scarascia, of Scarasciacactus, Montesano Salentino for advice and was not disappointed! 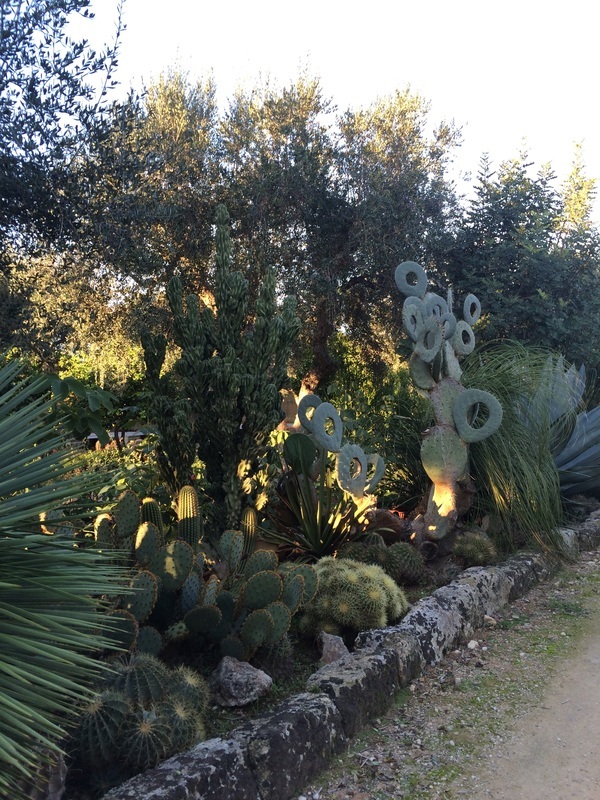 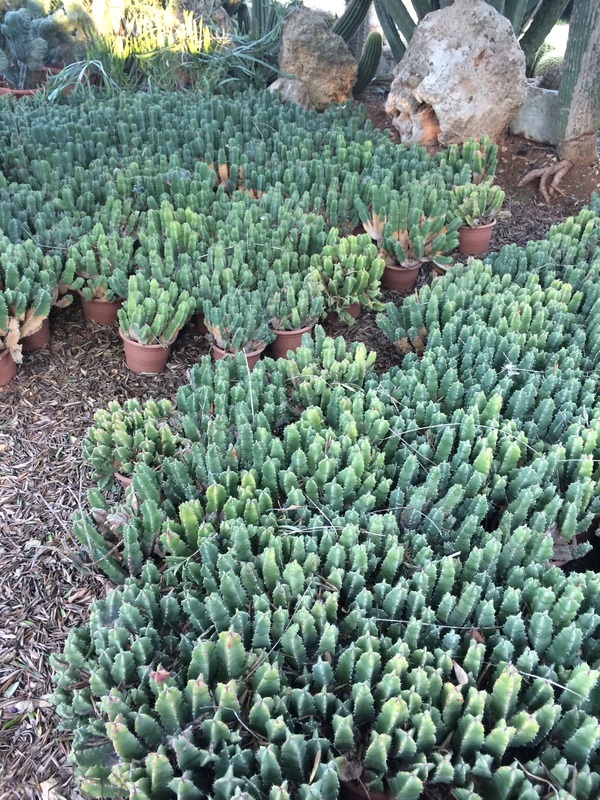 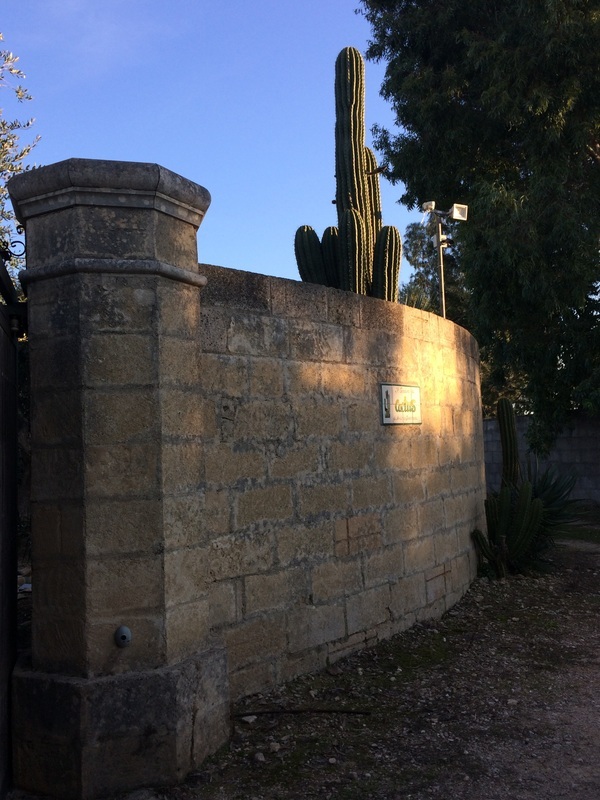 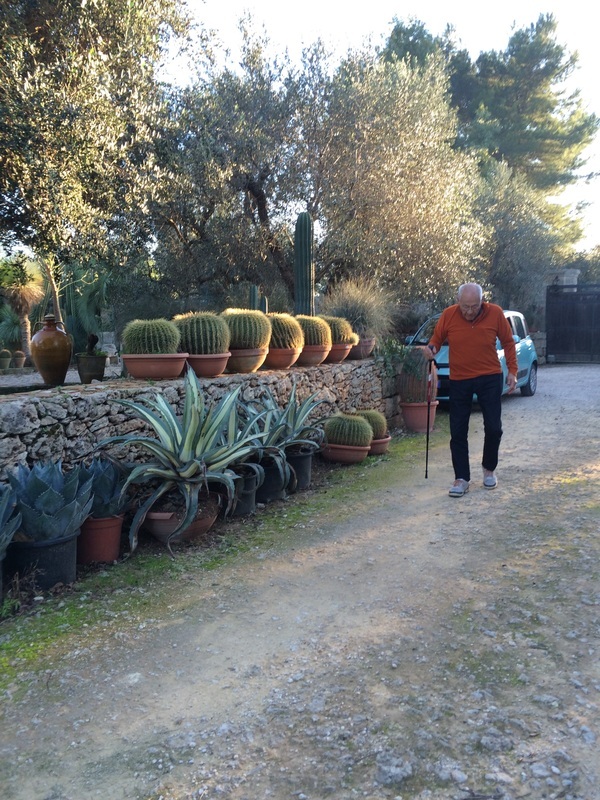 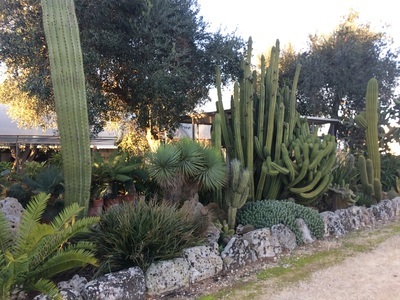 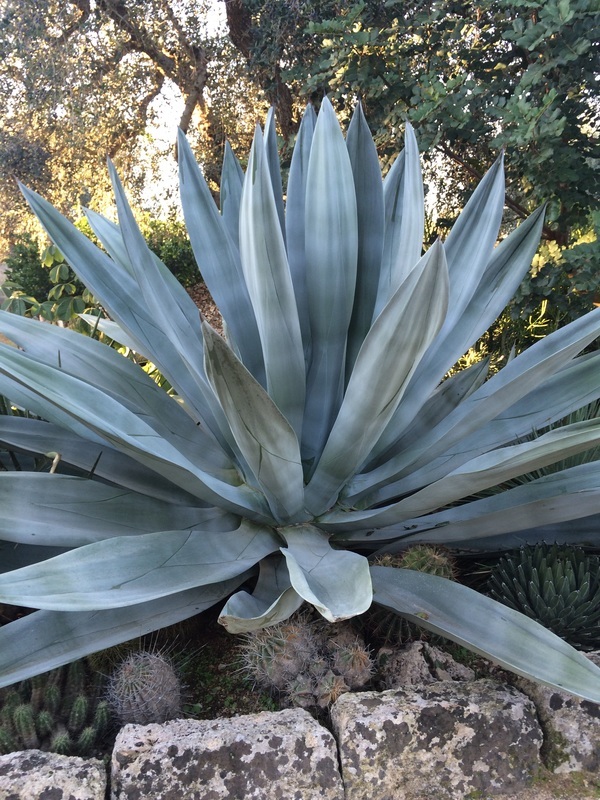 We arrived in the afternoon at his gate in the outskirts of Montesano and could not believe my eyes at the beauty of his cactus and succulent collection! 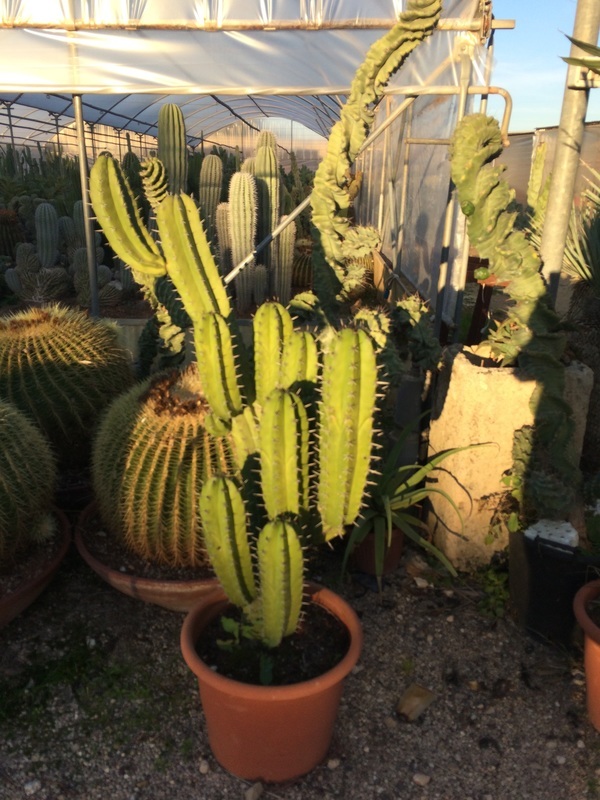 Here he has made a lovely home imbedded in the nursery with huge cages of exotic birds. 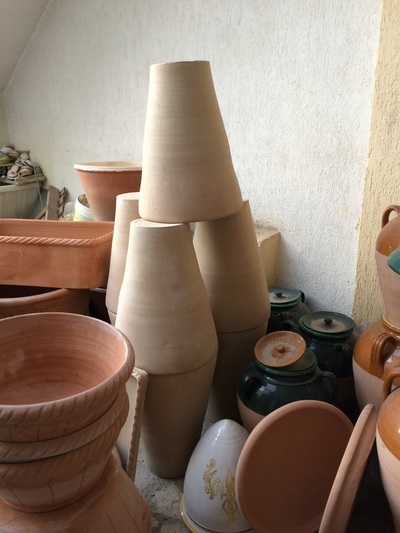 He recommended that I begin my choices based on the situation of light and wind at my home. 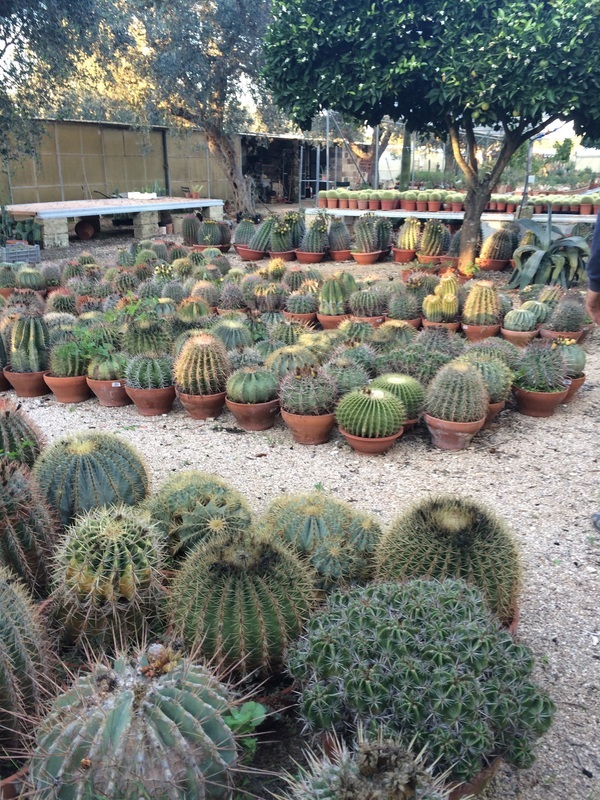 He did a site visit so he was prepared to make good recommendations to me. 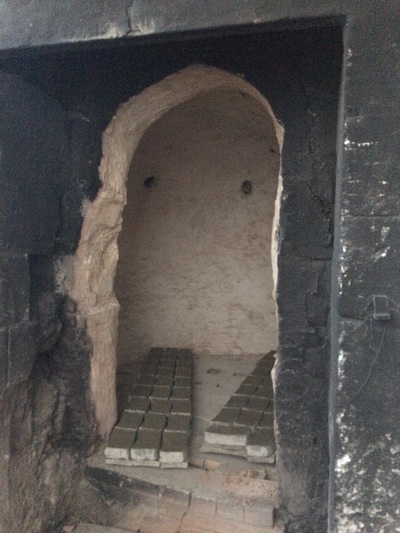 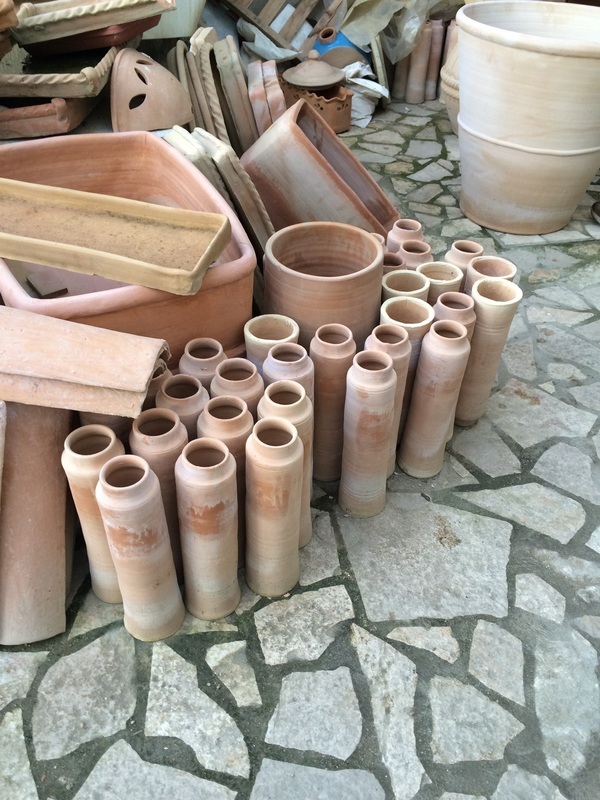 I got an overview of the plants types and then he took me down the road to a local potter who makes pots of all sizes by hand, fired in an old wood burning kiln. 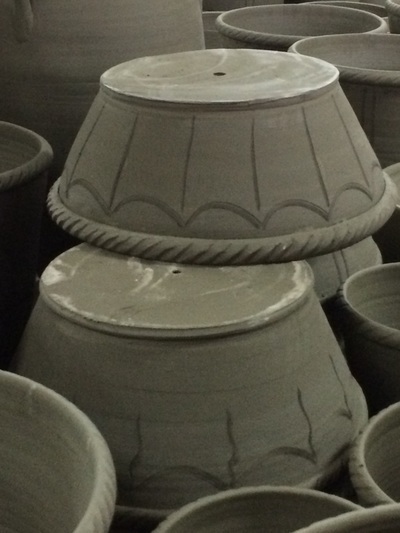 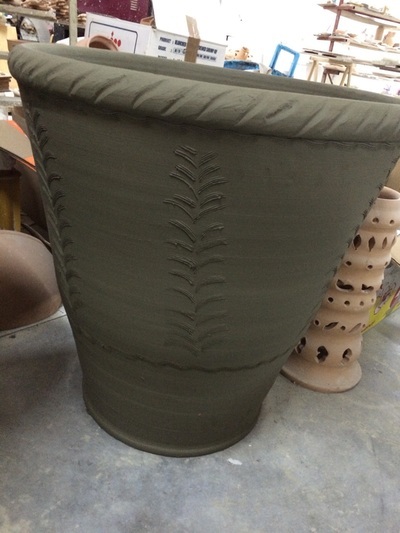 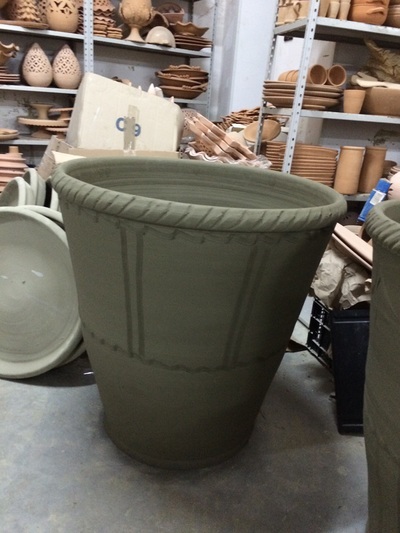 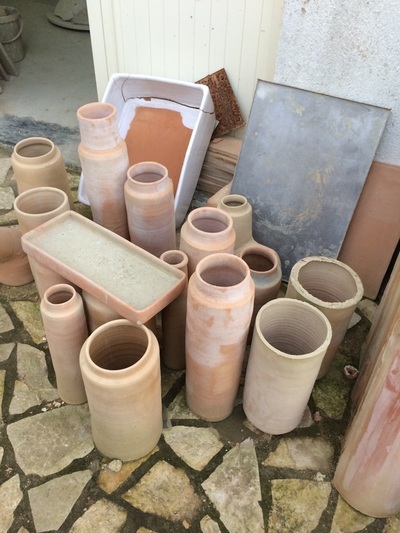 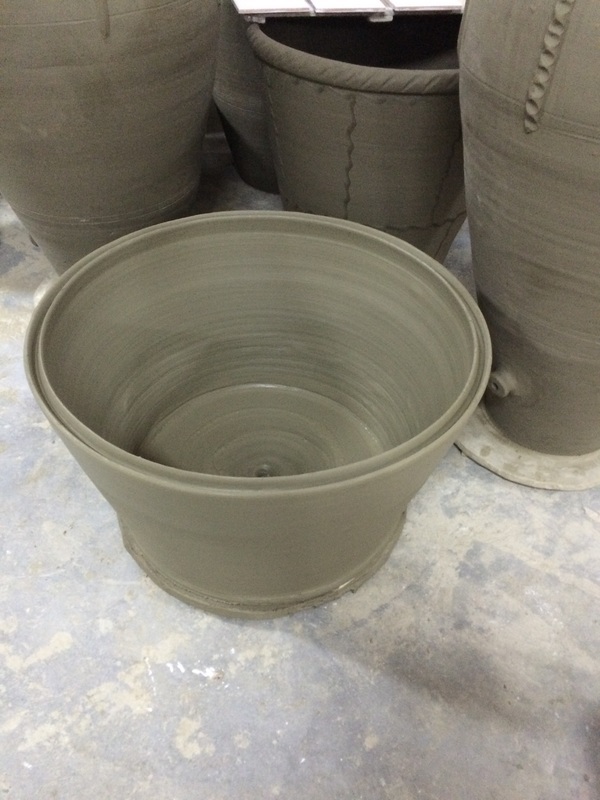 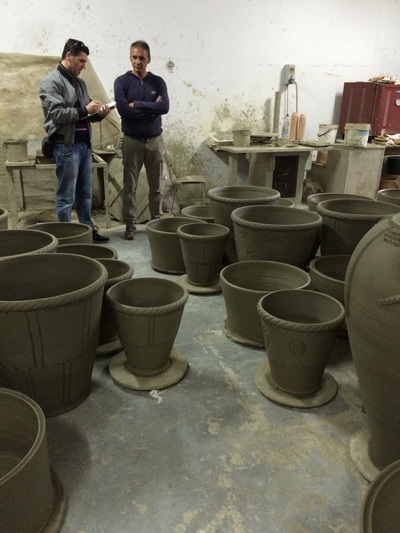 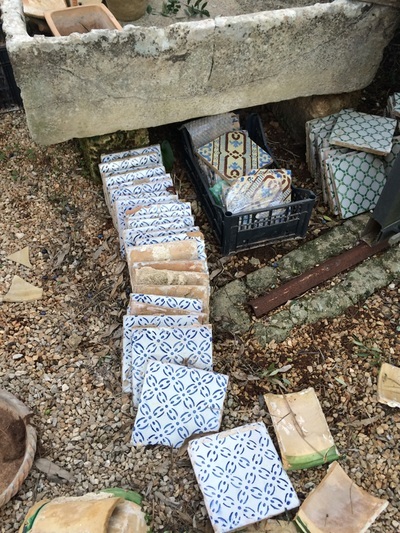 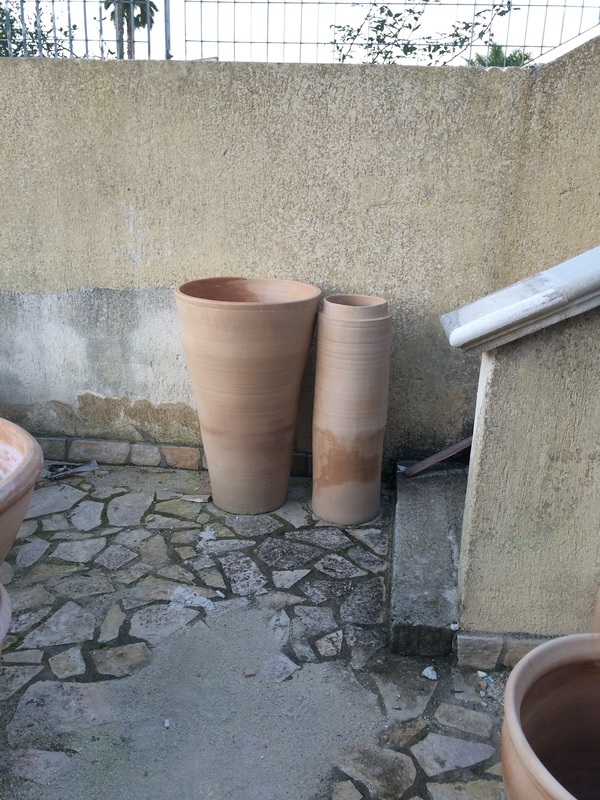 I picked out 7 pots of various sizes, glazed and unglazed in traditional and modern forms. 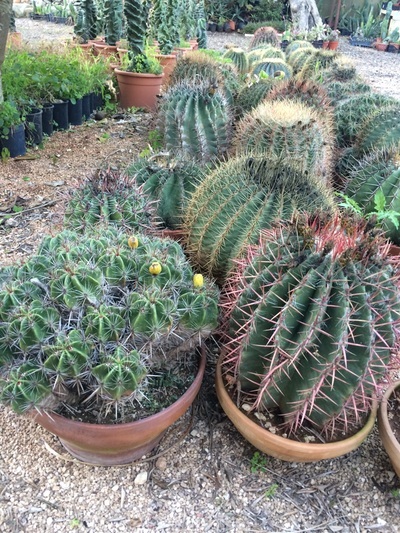 These we took back to the nursery and choose plant material for each. 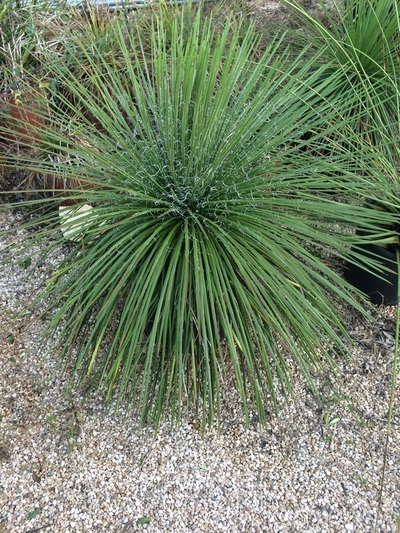 One recommendation Antonio made to me was not to buy the size of plant I wanted but a little smaller, so the plant could grow in the light and wind situation of where it would live and be stronger because of that. 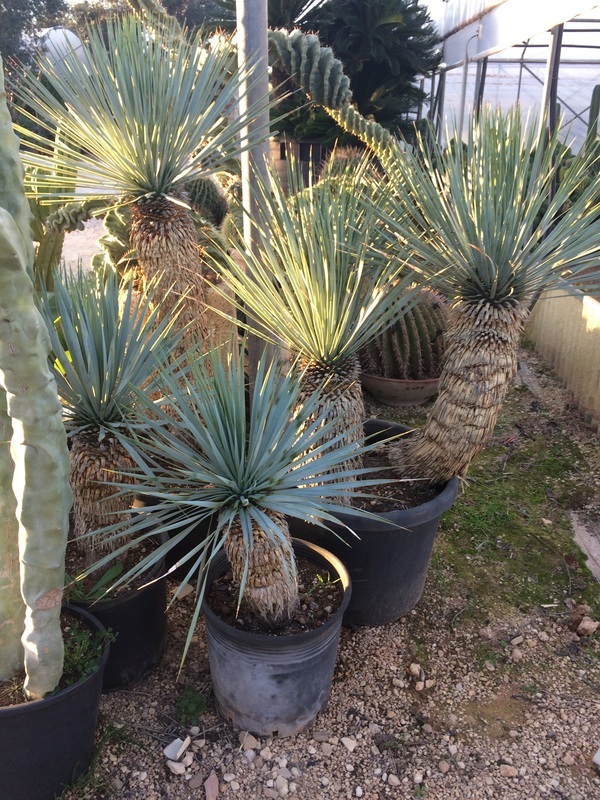 Here is a tour.